Diamonds and in particular, Canadian Diamonds are a great passion of mine, not only because they are one of nature’s most enduring gifts but so beautiful to give, receive and wear. My life in the diamond world came out of the blue and in a most unexpected way, and what I’ve learned over the years from many knowledgable colleagues and friends I am delighted to share with you now to help you choose a beautiful diamond for a loved one or for yourself. I have had the good fortune of escorting some of Canada’s finest jewellers down into the Panda pit at Canada’s first diamond mine – Ekati. As the brand manager for Canadian diamonds from Ekati I was privileged to experience behind-the-scenes of the diamond industry. From the machinery excavating at the open Panda pit, the ore processing plant to the sorting offices in Antwerp, Belgium to the cutting and polishing factories then the retailers’ display cabinets. 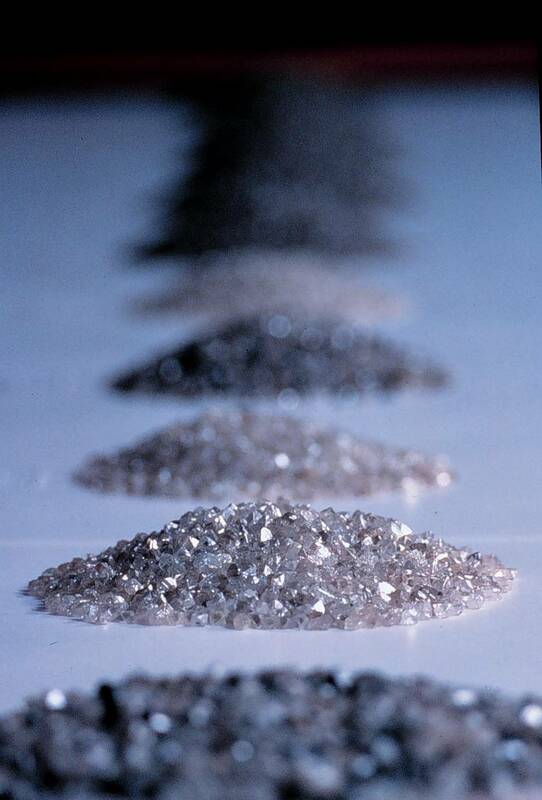 The Panda pit’s beautiful bounty was first brought to light in 1998 and soon became renowned in the jewellery world as being amongst the most exquisite diamonds ever discovered. Canada’s pristine diamonds quickly commanded premium prices for rough diamonds. From mine to retail and all the steps in between I have witnessed the journey of some of the most magnificent Canadian diamonds and am delighted to give you some background colour as you decide whether it’s round, princess, pear, marquise, cushion or emerald cut Canadian diamonds that will set your heart on fire just as they have done for me. 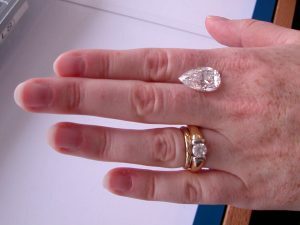 Find out about the CanadaMark diamonds hallmark program and why I sell CanadaMark diamonds.